Elections are being held in nine national assembly constituencies in Punjab and one each in Sindh and Khyber Pakhtunkhwa, and 24 provincial assemblies seats. ISLAMABAD: Voting opened Sunday for the by-election in 35 national and provincial assemblies in Pakistan amid heightened security, with over 600 candidates, including some political bigwigs, in the running. The polling started at 8 AM and will continue until 5 PM. The counting will start soon after the closure of voting and result of every polling station would be announced on spot. However, the consolidated results would be announced by the Returning Officers. Over five million registered voters -- about 2.3 million women and almost 2.7 million men -- will exercise their franchise. Also, the overseas Pakistanis will be voting for the first time in the by-polls. Elections are being held in nine national assembly constituencies in Punjab and one each in Sindh and Khyber Pakhtunkhwa, and 24 provincial assemblies seats, including 11 in Punjab, nine in Khyber Pakhtunkhwa, two each in Sindh and Balochistan. Most of these seats were vacated by those candidates who had won on more than one seat during general elections on July 25. Prime Minister Imran Khan had won five seats and vacated four. Thousands of soldiers have been deployed to provide security at 7,489 polling stations. The deployment of troops started on Friday and they will remain on election duty till October 15. 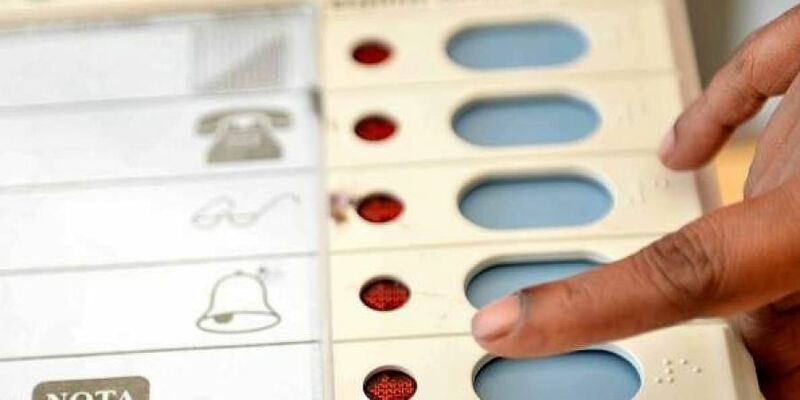 The Election Commission designated as many as 1,727 polling stations as 'highly sensitive' where extra troops were deployed and security cameras installed. They include 848 polling stations in Punjab, 544 in Khyber Pakhtunkhwa (KP), 201 in Sindh and 134 in Balochistan. Soldiers have been deployed inside and outside of the polling stations in order to avoid any untoward incident. Designated army officers have powers of a magistrate first class for summarily trial of those guilty of impersonation, capturing of polling stations or violation of other relevant provisions of the law. Tough competition is expected between ruling Pakistan Tehreek-e-Insaf (PTI) and main opposition Pakistan Muslims League-Nawaz (PML-N). Former prime minister Shahid Khaqan Abbasi is PML-N's candidate from NA-124. His opponent in the constituency is Ghulam Mohiuddin of the PTI. Abbasi lost from both Rawalpindi and Islamabad on July 25. He is now contesting from a secure seat, which PML-N never lost. In Karachi's NA-243 constituency, the Muttahida Qaumi Movement-Pakistan is expected to give tough competition to the PTI. On Thursday, the Election Commission constituted 27 monitoring teams to observe the by-polls. They will examine the distribution of polling equipment and training of the polling staff.